Numbered from the edition of 30 in pencil in the lower left. Published by Maeght, Paris. Printed by Arte Adrien Maeght, Paris. 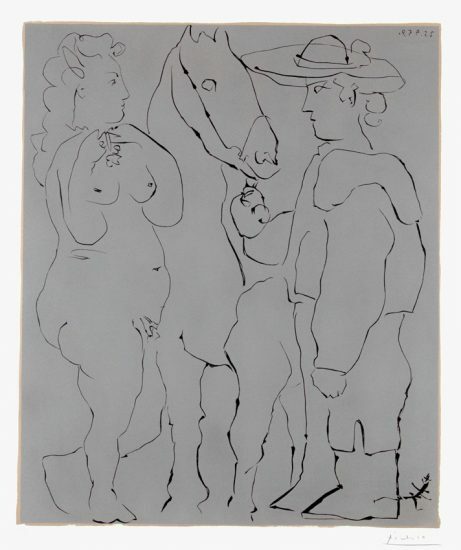 This work is hand signed by Joan Miró (Barcelona, 1893 - Palma, 1983) in pencil in the lower right margin. 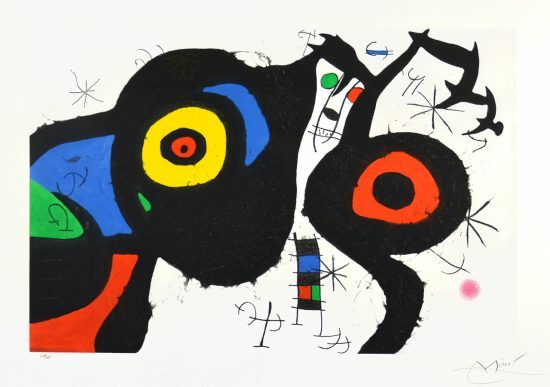 Joan Miró Le Croc a Phynances II (The Crooked Phynancial Phang II), 1971 is an impressive chromatic exploration of the artist’s imagination and inner psyche. 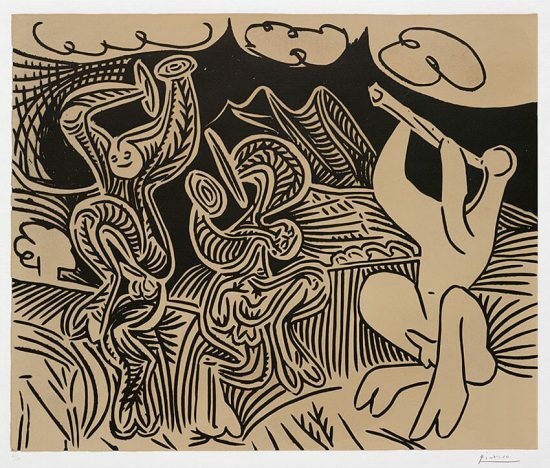 Large biomorphic shapes dominate the pictorial plane against a beige background. Splatters of green, orange and red enliven the background and spill over the edges to unite all the elements and lend an explosion of sound and energy to the piece. In the artist’s private universe of constellations, a startled “eye” of red and black concentric circles commands the top left of the work, balanced on the right by a blue droplet edged in black. 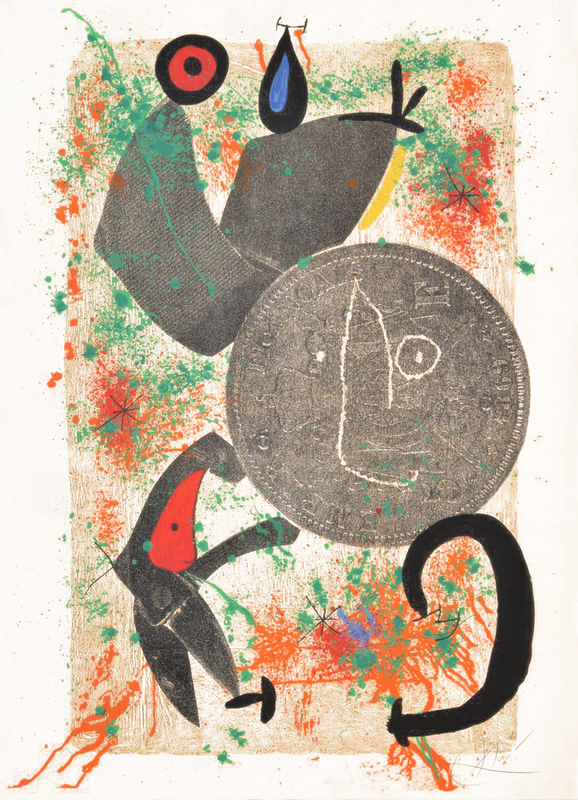 Dominating the center of the piece, a large gray shape looms over the other figures like a moon, a common spiritual element in Miró’s work, its delicate interior lines evoke a face staring benignly at the figure below. A bold black curve in the lower right provides a counterpoint to all the elements in an artwork that dances with life and movement. 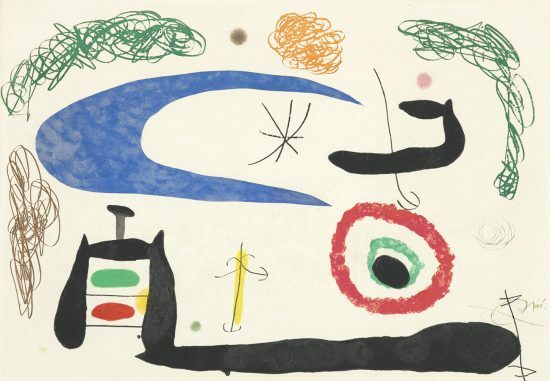 With his impeccable sense of balance and harmony, Miró allows these elements to touch and slightly overlap to create a profound internal sense of the connections between things and the spirit of the moment. A modern renegade who consistently shattered artistic limitations, Miró adhered to a lifelong flirtation with non-objectivity. His impressive work and his fierce independence from traditional artistic expectations made him one of the most influential artists of the 20th century. 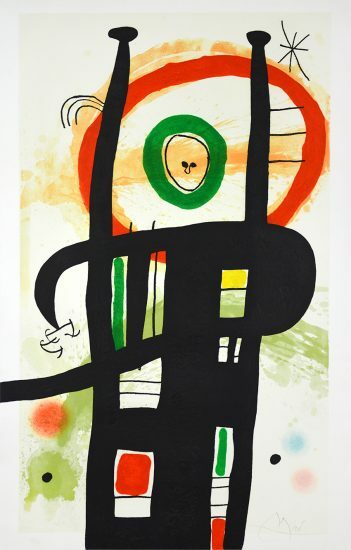 Created in 1971, this color lithograph on Arches vellum paper is hand signed by Joan Miró (Barcelona 1893 - Palma de Mallorca 1983) in pencil in the lower right and numbered from the edition of 30 in the lower left. Published by Maeght, Paris. Printed by Arte Adrien Maeght, Paris. 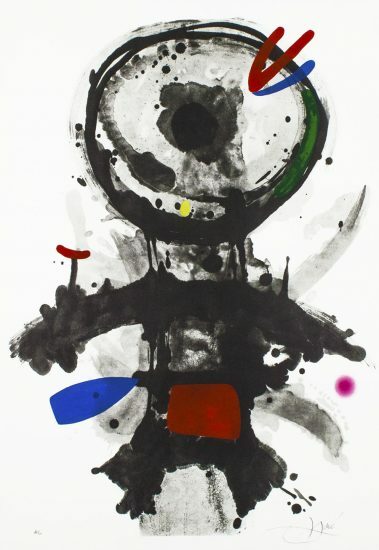 Joan Miró Le Croc a Phynances II (The Crooked Phynancial Phang II), 1971 is fully documented and referenced in the below catalogue raisonnés and texts (copies will be enclosed as added documentation with the invoices that will accompany the sale of the work). 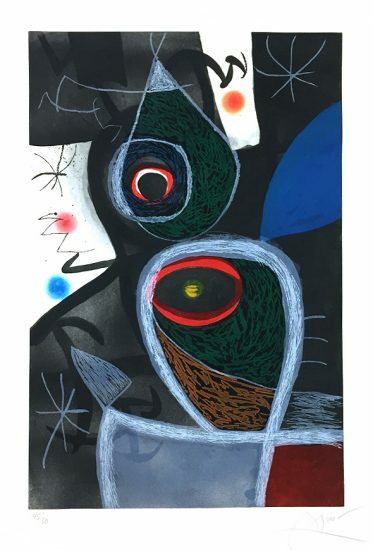 Maeght Éditeur, Joan Miró Lithographs Vol. IV 1969-1972. Paris: Maeght Éditeur, 1992. Listed and illustrated as catalogue raisonné no. 689. Framed to museum-grade, conservation standards Joan Miró Le Croc a Phynances II (The Crooked Phynancial Phang II), 1971 is presented in a complementary moulding and finished with silk-wrapped mats and optical grade Plexiglas.